From the makers of the original Cruvinet wine preserving and dispensing system comes a unique wind storage case. 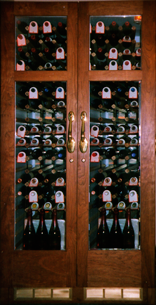 The ultimate in cabinet design and lighting makes it both an elegant showcase and efficient service-center for a restaurant, bar, or hotel and a professional, heavy duty environmental control unit for fine wines. Before you risk having your fine wine stored in anything else, make sure it has the features of a Cruvinet Sommelier. 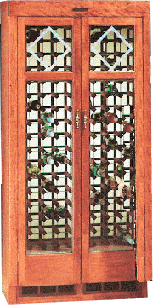 Custom designs to match individual requirements are available. Designed for restaurant, hotel service or a lifetime of home use, the Le Tavernet combines both the beauty of handcrafted oak with the ruggedness of a commercial grade refrigeration unit. For the discerning buyer who appreciates well-built quality. Le Cavernet is an elegant display for the the proper storage and serving temperature of fine wines. All units come with showcase lighting and mirrored stainless steel interiors.